Our Richmond Hill dental hygiene services team has great experience and an amazing attitude. It’s important to us that our valued clients get a complete picture when it comes to good oral hygiene and that’s why we will put together a package for each and every one of them. Our professional periodontal cleaning procedures are backed by staff that are courteous, friendly and above all experienced. After you’ve undergone one of our professional procedures, why not let us help you design an individualized, personal dental oral care regime that will keep your smile looking and feeling great. 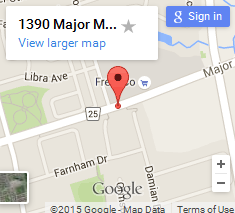 To learn more about our dental hygiene services in Richmond Hill and call us at 905-770-0099. Copyright 2014. Forestwood Dentistry - Richmond Hill Dentists - All Rights Reserved.